This tour will introduce you to the history of the city from the Byzantine period until today. You will have very useful tips from a local. 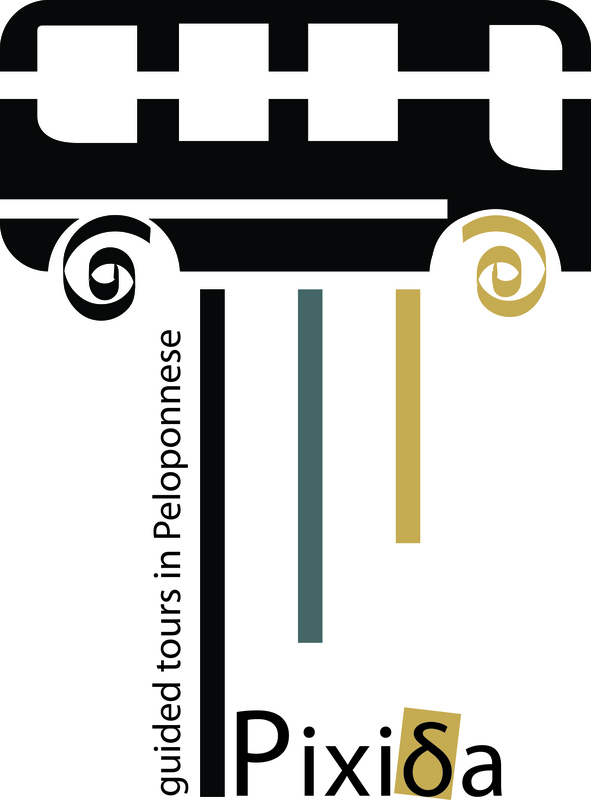 You are in one of the most beautiful cities of the Peloponnese! It is not possible for us not to welcome you and guide you to the most historical and interesting places in our hometown. We will pick you up from your hotel and in less than 10 minutes we will be in the square of the Ypapanti, the largest church and patron saint of the city, from where our tour begins. The selection of the starting point of our tour is not by chance! In 1986 a large earthquake exposed the ancient city of Kalamata (Farai), hiding just under the sanctuary of Ypapanti’s Church. Parts of the fortification wall of the ancient city, statues and pottery sherds, slept for centuries in the bowels of the church and now they are in the Acropolis Museum of Athens. We will continue walking around the city’s castle, the one that Villehardouins’ family decided to built during the 12th century. At its base, we will have the opportunity to see two houses preserved from 1821, despite the years that have passed and the earthquake that tore down all the other buildings. We will see also the first hospital of free Kalamata, after 300 years of slavery under the Turks. We will admire the church of St. John, which was built inside a cave and was used by the Greeks as a secret school for their children during the Ottoman era. The next highlight of our adventure is the tour of the Castle. Walking through the narrow-cobbled alleys, among the ruins of the salon of Isabella and her father William, we will feel like the princesses or the knights of our childhood fairy tales. After that, the monastery of nuns, will bring us back to reality and the modern history of Kalamata. Inside the monastery, the nuns were the first ones taught how to cultivate the silkworm and the art of weaving silk handkerchiefs. In that same place, they taught it to the young women of the region. Silk scarves become Kalamata’s trademark well known throughout Greece. 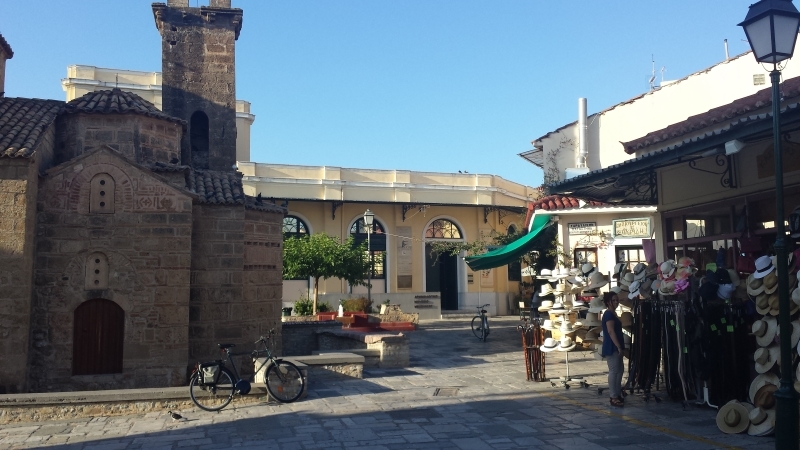 Our ride continues south, to the oldest church of the city, the church of Agioi Apostoloi. It was built in the 11th century AD. The church’s square, picturesque and full of stores, coffee shops and restaurants, will make you want to take your time and rest. So, you can relax and enjoy your coffee in one of the many small traditional cafes or buy souvenirs or traditional local products. 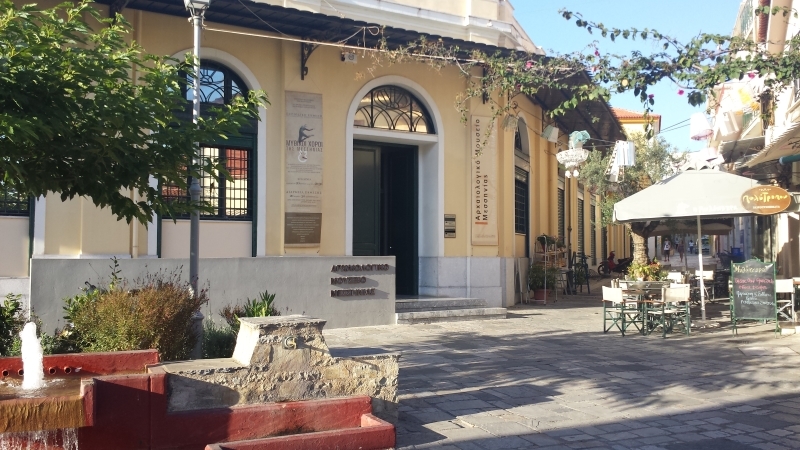 The pedestrian street that we will follow later is Kalamata’s commercial center. You will be able to admire some of the greatest neoclassical and classical buildings but also buildings from the inter war era. The main city hall will impress you. Surely by then you will be hungry. Since you are in Kalamata, it is not possible to miss the opportunity to taste our Mediterranean cuisine. We have so many choices from which you can choose the one that satisfies most your preferences.